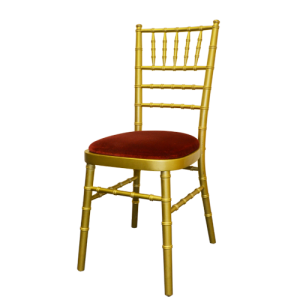 The gold chiavari gives off a luxurious impression to your guests from the moment they enter your venue. The gold frame in combination with a deep red seatpad is a match made in heaven. We also have blue, black, ivory, gold, and purple seatpads available at no extra cost.